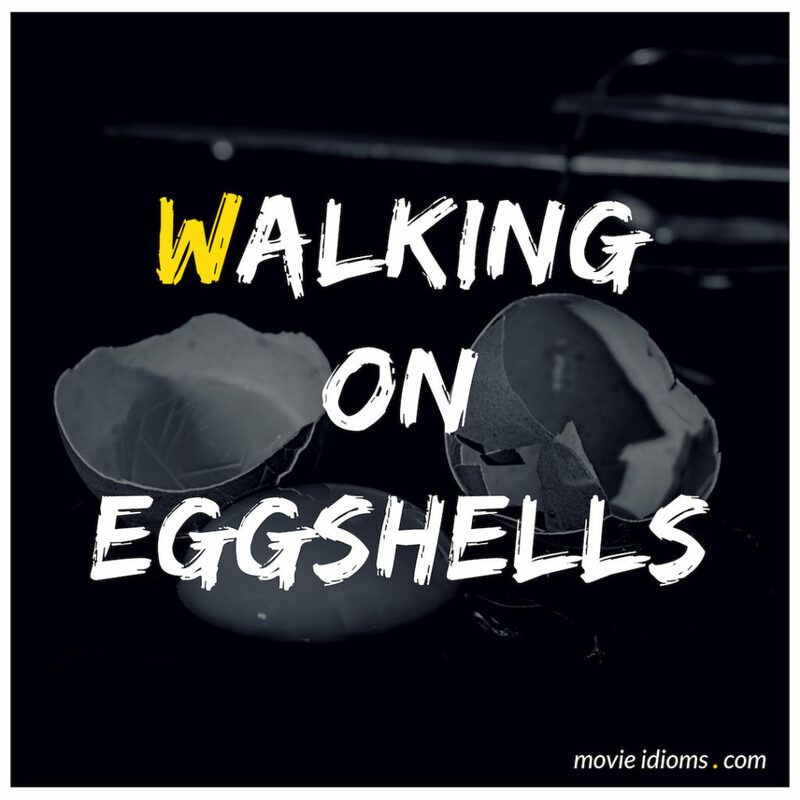 What does walking on eggshells mean? Robert Goren: Do you think I’m crazy? Paula Gyson: I think you are a person who is aware that the world is a dangerous place. You found a way of surviving, but your way can make other people feel uncomfortable. Robert Goren: Challenging and, you know, uncomfortable. You’re walking on eggshells with me, aren’t you? Paula Gyson: Isn’t that how you like it? Hmm? It’s part of your skill set, like being able to read people quickly. Robert Goren: It’s my job. Counselor Deanna Troi: You know what the worst part of this is? And I’ve seen it happen to so many patients. Commander William T. Riker: What? Counselor Deanna Troi: The way other people change. How they start to treat you differently. They walk on eggshells around you. Sometimes they avoid you altogether. Sometimes they become overbearing, reach out a helping hand to the blind woman. Counselor Deanna Troi: I will not be treated that way! Kat Ellis: Some of their lesser-known ballads are surprisingly poignant. Nick Mercer: Is that an old habit from ballet class or from a lifetime of walking on eggshells? Kat Ellis: I never took ballet.